It’s hard to define Healer as it’s got a little bit of everything: super spy, crime, drama, romance, and family. It weaves a lot of concepts together to form one well-written, well-executed, thrilling, and emotional fusion drama. The main story is a complex one, wrapped layers deep waiting for us to peel back. But at a high level, Healer is about a skilled “night courier” who steals items for clients in return for money and how his life completely changed with a strange job from a famous reporter requesting him to find a girl. Little did Healer or the audience realize how much their fates have been intertwined and that they would eventually work together to uncover important mysteries that not only involve everyone around them, but also explain their roots. Yes, the storyline is cleverly orchestrated with minimal plot holes, particularly for a Korean drama. Yes, the characters, even very minor ones all have their quirks that make them memorable. And yes, the main cast does a fantastic acting job with great chemistry. 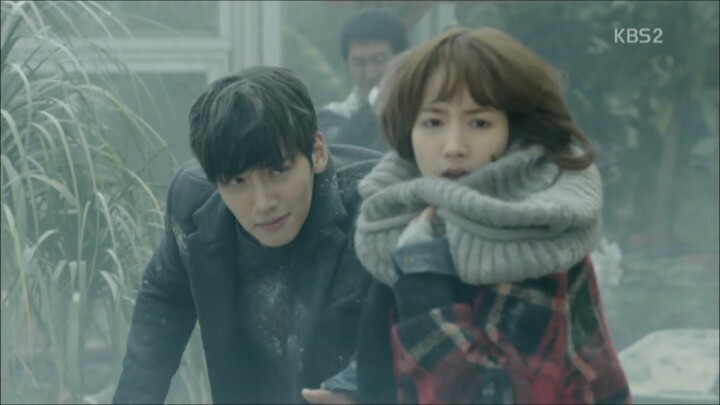 But the most impressive thing about Healer is how well it’s paced to untangle the intricate web of connections and backstories between its characters. Just when I think we’ve gotten to the bottoms of something, Healer introduces another piece of the puzzle to entice me to dig deeper. The execution is so tight that even flashback scenes are integrated naturally to be informative or sentimental, rather than repetitive, forced tropes used to fill time. Never have I felt like a 20 episode Korean drama so engaging that each episode serves its purpose to build towards the primary story. It’s a well-written, well-executed, thrilling, and emotional drama. Healer’s story begins with a bunch of seemingly unrelated events and characters who quickly collide with each other in some of the most creative ways I’ve seen in recent Korean dramas. 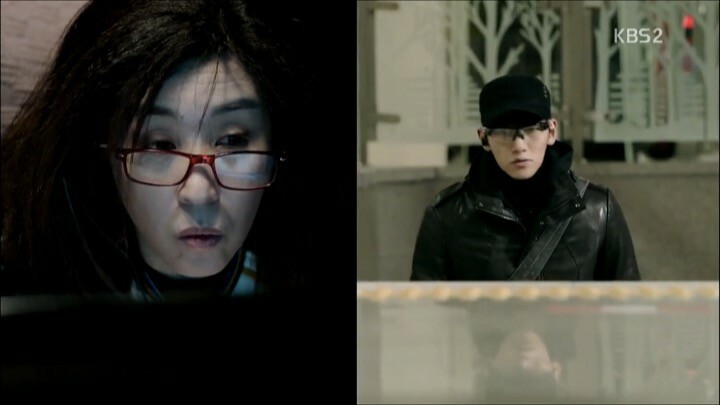 In an intense super spy styled opening sequence, Hacker ahjumma Min Ja (Kim Mi Kyung) and Healer (Ji Chang Wook) partner together to deliver a package, but Healer quickly gets framed for a murder case when he inadvertently finds out his client’s identity. At the same time, for a totally separate job, Healer has been commissioned to search for adopted girls from a specific year and getting their DNA for his client — celebrity reporter Kim Moon Ho (Yoo Ji Tae), known for his gusto in reporting unjust cases that no one else wants to touch. On his fourth try, Healer targets Chae Young Shin (Park Min Young), a quick-witted, daredevil tabloid journalist who has big dreams of becoming a famous reporter. Young Shin turns out to be the one that Moon Ho’s been looking for, so Healer’s next assignment is to find out everything about her life and her dreams. While keeping tabs on Young Shin, Healer overhears her heartfelt confessions about being orphaned and abused before meeting her foster dad, which leaves a deep impression not only on Healer, but the viewers as well. A client, a night courier, and a target — what an unusual yet efficient setup for our main characters to meet each other! 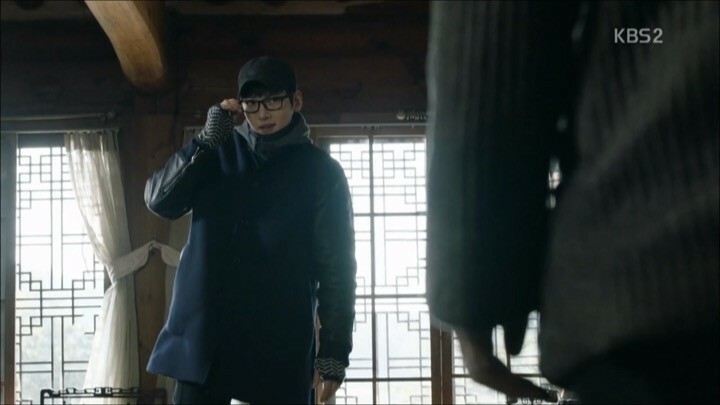 On the other hand, the drama becomes even more intricate as Healer traces his framer back to Moon Ho’s brother Kim Moon Shik (Park Sang Won). This, coupled with the discovery of the exact same picture at Moon Shik’s house as the one Healer owns, led to several giant question marks dangling above my head. Equally intrigued as I, Healer decides to find out how these people are connected to each other and Moon Ho’s motives behind searching for Young Shin. He goes into disguise as junior reporter Park Bong Soo and works under Young Shin at Someday News to gather intel. Here we have another smart and logically sound way of introducing natural proximity between our lead characters, conveniently setting them up for more interactions to come. Just like that, the early episodes do a fantastic job of inciting interest with multiple threads of mysteries regarding the characters’ past and their motives. 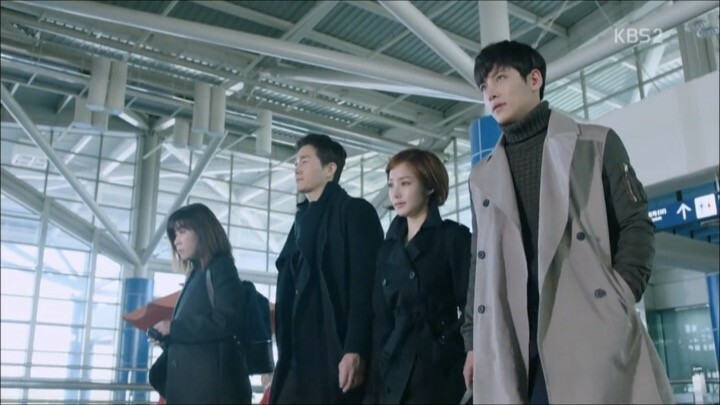 In these next few episodes of Healer, some parts of the plot become clearer, but the drama debuts more enigmatic characters that hint at an even bigger, deeper secret to keep up the suspenseful momentum. In several flashback scenes, we gather key insights regarding the five people in the aforementioned picture. Moon Shik, his wife Choi Myung Hee, her ex-husband Oh Kil Ahn along with Healer’s father Seo Joon Seok and master Ki Young Jae are all friends. Kil Ahn and Myung Hee had a daugher named Ji Ahn, but she’s believed to have died in the 90s, from a questionable incident that’s also responsible for her father and Joon Seok’s deaths. Myung Hee herself becomes paralyzed and later remarries Moon Shik who’s been in love with her since day one. Little Moon Ho tagged along with the five friends since he was a child and knows them all very well, including Ji Ahn and Joon Seok’s son Seo Jung Hoo, who is now Healer. With this background information, the drama makes it fairly apparent that the child Moon Ho has been looking for is Ji Ahn and that he’s been tormented over helping Moon Shik keep this secret from Myung Hee. But why? That’s still the most intriguing mystery to me. In parallel, our main characters’ lives become increasingly entangled with each other, adding an extra layer of excitement to the drama. After saving Young Shin a few times from gangsters hired by Moon Shik to deter her from pursuing a scandalous case against a senator ally of his, Healer takes more interest in her. At the same time, Young Shin’s fascination with Healer also grows stronger as she confesses her one-sided crush on him to Bong Soo, who’s now her go-to listener. Young Shin’s genuine compassion towards Healer caught him off guard but moved our lone wolf deeply, so much so that he risks exposing himself to help her secure evidence for her case. Young Shin’s other idol Moon Ho also makes bold moves to insert himself into her life. He shockingly buys Someday and becomes Young Shin’s boss — a totally unexpected turn of events, I must admit. Moon Ho quickly turns Someday into a groundbreaking news outlet aimed at divulging the ugly and the dirty, starting with the senator case. But his personal agenda is to catch the big fish behind the senator, Moon Shik, and the even bigger fish behind him, who’s somehow related to everything in the past and the present. Healer continues to focus on amplifying the romantic interest between our lead characters and solidifying their love line. As Healer gets to know Young Shin better through his alternate identity Park Bong Soo, he can’t help but be drawn to her. 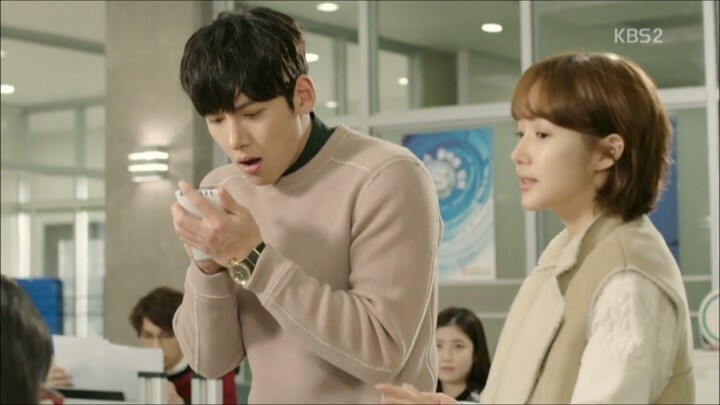 A convincing acting performance shows that Healer is making great efforts to suppress his feelings for her, knowing that it’s dangerous to get her involved with him. But alas, after saving Young Shin yet again from a death trap, Healer can no longer hold back his emotions. The build-up to our couple’s intimate moment is intense, sweet, and dreamy. Interestingly enough, once Healer realizes his feelings for Young Shin, he toys with the idea of having a real relationship with her and makes a confession as Bong Soo. But Young Shin decisively turns Bong Soo down due to her unwavering affection for Healer. This creates an amusing love triangle that reminded me of the one shared by Clark Kent, Lois Lane, and Superman. I’m more curious than ever to see how the couple will progress their relationship given the current complications. Meanwhile, our heroes successfully pull off their well-planned media stunt to make things difficult for the senator and those behind him. The drama also begins to plant seeds to kickoff the pursuit of the main mystery — the truth behind the death of Healer’s father Joon Seok. The build-up to our couple’s intimate moment is intense, sweet, and dreamy. 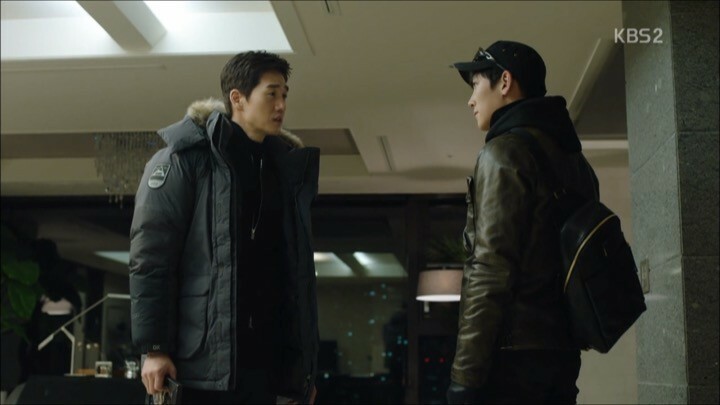 In these crucial episodes of Healer, identities are revealed, new alliances are formed, and unforeseen losses are incurred as our heroes dig deeper into the old conspiracy. Moon Ho and Healer conveniently find out about each other’s secrets at the same time and decide to join hands to unearth the mystery surrounding their mutual connection, Joon Seok. 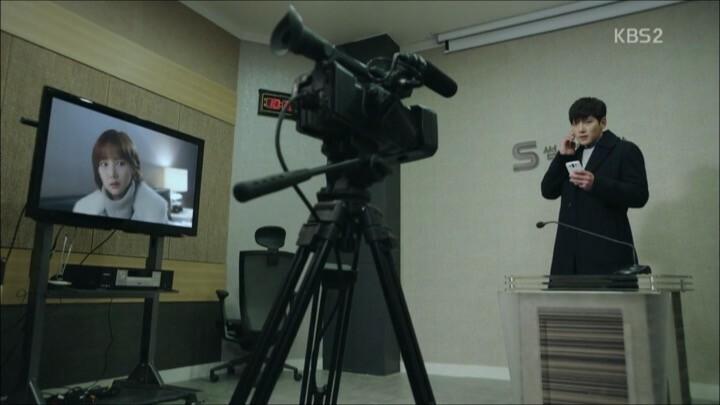 Their starting point is Joon Seok’s police interrogation report on the day of the suspicious incident. 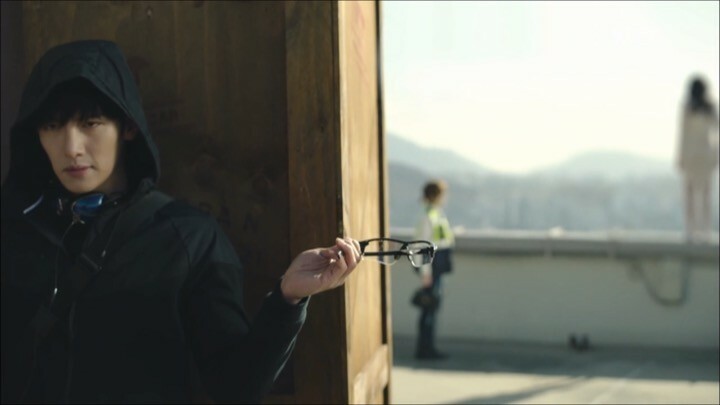 Joon Seok’s recount of that day’s events are deliberately buried by those who want to hide the truth and I anxiously wait for our super spy to find a hint, a thread, anything that’ll shed more light. Healer’s digging didn’t go unnoticed and immediately incites his enemies to take action. The intensity of the drama drastically elevates and has me tightly holding the edge of my seat when Healer gets set up in a trap and nearly gets caught. 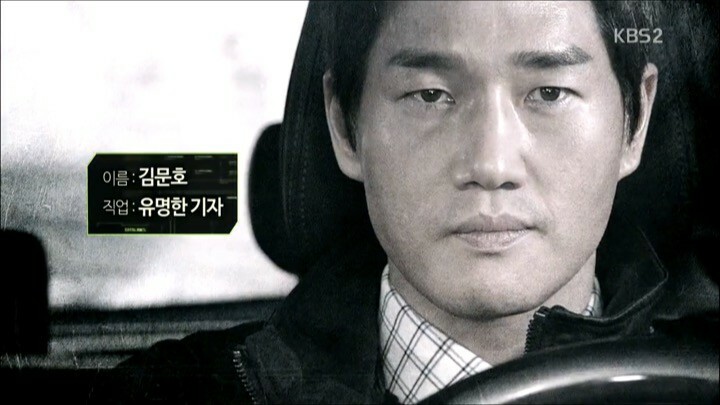 He barely manages to escape thanks to the help of his allies, but his injuries trigger Young Shin to piece together the puzzle and arrive at the revelation of Bong Soo’s real identity. Thereafter, awkwardness between them grows because they both know that the cat’s out of the bag, but no one’s willing to be the first one to break the ice. In the end, Healer didn’t get very far with his investigations and his enemies ruthlessly teach him a lesson with a painful sacrifice that shocked everyone including me. The intensity of the drama drastically elevates. 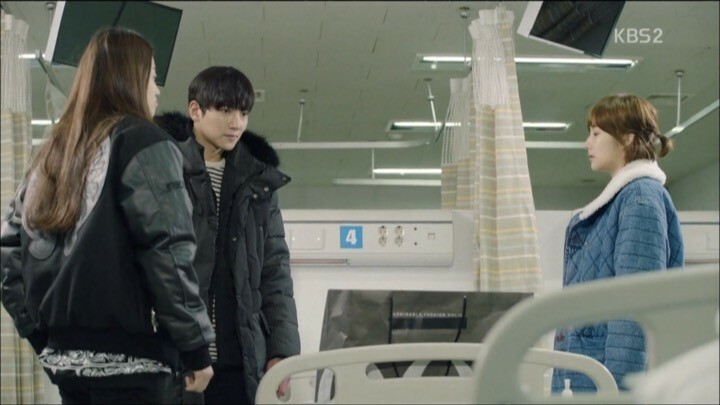 The excruciating aftermath of Healer’s first attempt at uncovering the truth can be thoroughly felt throughout these episodes. No pain, no gain, right? These episodes symbolize growth in both main characters — growth through understanding their relationship, through confronting the ugly past, and through accepting who they really are. Healer locks himself up to mourn his losses and cuts off connection with the rest of the world. Out of concern for him, Min Ja sends Young Shin to his address to check it out. There, Young Shin takes care of the sick Healer and confirms his identity. The two of them decide to fully embrace the love line that they’ve been dodging up to now and share a few romantic days like two love birds. It’s a delight to finally see them make progress in their relationship. But our couple’s road to happily-ever-after won’t be easy and Moon Shik makes sure of it. He tries to turn Young Shin against Healer by telling her that he’s a murderer and that he’s working with Moon Ho to commit more crimes. Young Shin questions Moon Ho about it and was finally told about her past, including her tangled history with Healer. As Young Shin struggles to interpret and reconcile with this sudden revelation, her relationship with Healer suffers. Though to my relief, the drama carefully balances giving the characters enough time to cope with their emotional crisis while not letting them mope around or grow distant from each other too much. Yes, Young Shin’s had her doubts, it’s only natural. Yet it’s refreshing to see her unwavering trust in Healer and her maturity in handling the situation, which makes her character far more convincing and consistent than most. Thank goodness there’s no noble idiocy here. Meanwhile, Healer regains his determination and strikes again. He tracks down a cop who recorded his father’s interrogation report and obtains clues to retrieve a copy of the tape. But of course, not without extraneous efforts on Moon Shik’s side in stopping him. 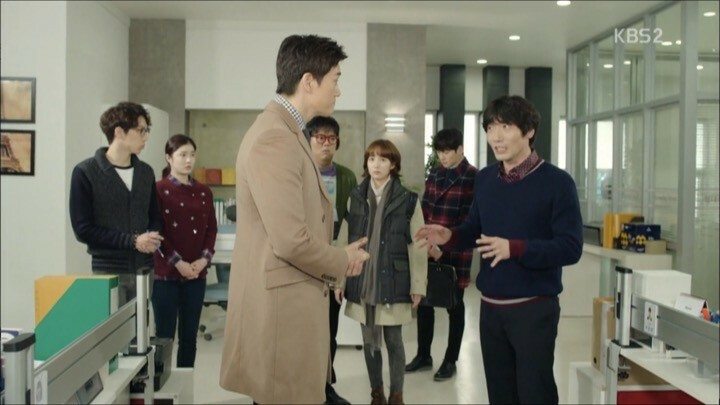 Can Healer get the evidence he needs to get to the bottoms of this long hidden secret? I’m more excited than ever to see how the final showdown will pan out. The home stretch of Healer is thrilling, clever, and full of twists. 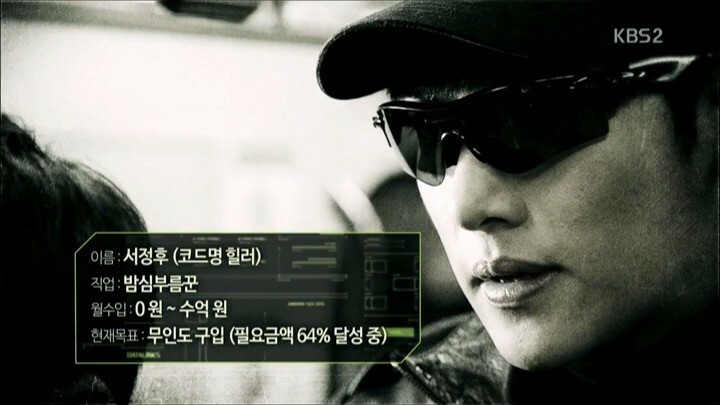 Majority of the episodes are focused on exposing not only the enigmas around Joon Seok’s death, Moon Shik’s involvement in it, but also the ultimate culprit behind Moon Shik. The most impressive part isn’t necessarily the revelation itself, but how our heroes executed their meticulous and brilliant plans to fool the enemy into coming out of the shadows on their own. If I thought round one of this match was impressive enough, round two is even more ingenious. In response to Healer’s success in round one, his enemies capture Moon Ho and Young Shin and coerce him into admitting he’s a murderer. They threaten to send the fabricated “evidence” to police if Healer didn’t stop. However, our “Fantastic Four” — Healer, Moon Ho, Young Shin, and Min Ja — come up with yet another marvelous, albeit dangerous plan, to not only capture incriminating evidence against their enemies, but also free Healer from his troubles for good. Our heroes truly put on an astounding show down to the last minute. If only the drama didn’t run out of time to wrap up a few of the loose ends like what happens to Moon Shik, it would have been a perfect finale. My adventure with Healer is an unforgettable one. I come out of it feeling a full range of emotions from anxiety, to anger, to bittersweet, and ultimately a sigh of relief. I can name many things that the drama does right: scripting, acting, and building characters. But what truly separates Healer from the rest is how those elements are stitched together to tell a flawlessly paced story that doesn’t make me feel bored for even one second. It so so beautiful story. Song Jina is the reason why the writing of this drama is sooo good. You should watch ‘A Story of a Man’ too — the ending is one of the most brilliant endings in Kdramas. Thanks for the recommendation, I’ve heard of it before…it’s a few years old right? But will definitely check it out!